13 megapixel camera with 6 physical lenses. 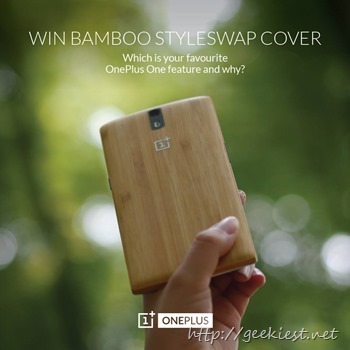 You may also have a look on the giveaway contest running on their Facebook page where you can win a Bamboo style swap cover for OnePlus One for Free. 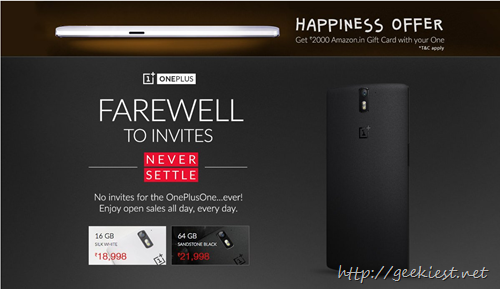 You will have to leave a comment on their Facebook post with the best feature you like on the Oneplus one. If you are planning to buy a OnePlus one, it may be the best time to get it, as you can buy some accessories with the gift card.